We stock a huge range of top quality own-brand and designer bathroom suites which have been crafted with our customers in mind. No matter your budget you can be assured of only the highest quality suites for your bathroom. 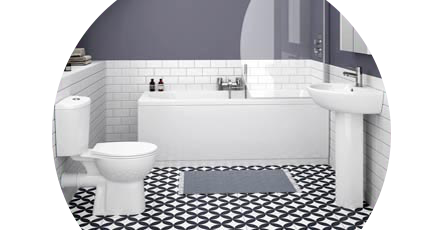 With carefully selected bathroom suites from an assortment of manufacturers, browse one of the largest ranges in the UK. We also stock a complete collection of in-house suites to give you great value for money and your home great style! Whether you're looking for a suite that's current, timeless or totally traditional we have the package for any bathroom. The majority of our suites are available to buy with our optional next day delivery service. This means your new bathroom suite can be with you quicker than ever. Upon ordering, your suite will be carefully packaged and sent out via pallet delivery. For a simpler way to pay just take a look at our 0% Finance options available. Really pleased with for our small room.